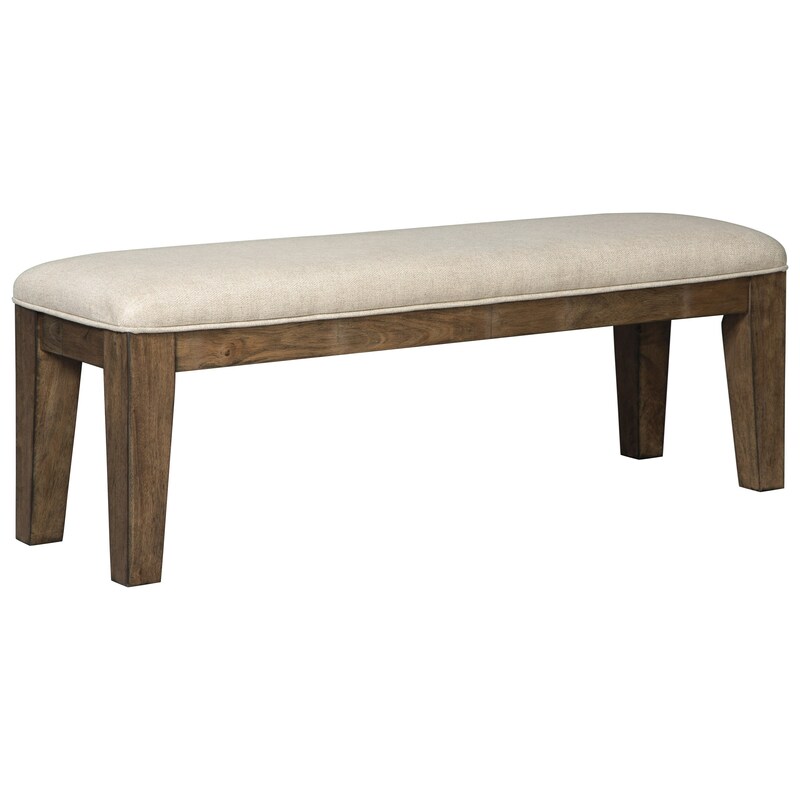 The gorgeous light brown burnished color and cushioned seat upholstered in a woven polyester fabric combine to create this stylish and comfortable dining bench. The Flynnter Upholstered Dining Room Bench by Signature Design by Ashley at Sam Levitz Furniture in the Tucson, Oro Valley, Marana, Vail, and Green Valley, AZ area. Product availability may vary. Contact us for the most current availability on this product. The Flynnter collection is a great option if you are looking for furniture in the Tucson, Oro Valley, Marana, Vail, and Green Valley, AZ area.